As women of many and few resources, with and without children, lesbians and heterosexuals, white women and black women, discussions could get heated at times. 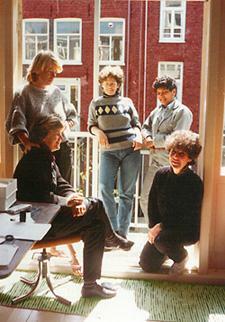 In the 1980s, the women’s movement in the Netherlands thoroughly debated the differences between rich (known in Dutch feminist circles as ‘Mrs. Philips’) and less well to-do- (‘Mary goes to school’) women, and lesbian and heterosexual women. The term ‘black’ was used by feminists in a political sense to indicate people who were non-white and non-western in their origins. For instance, Turkish and Moroccan immigrants were considered black. 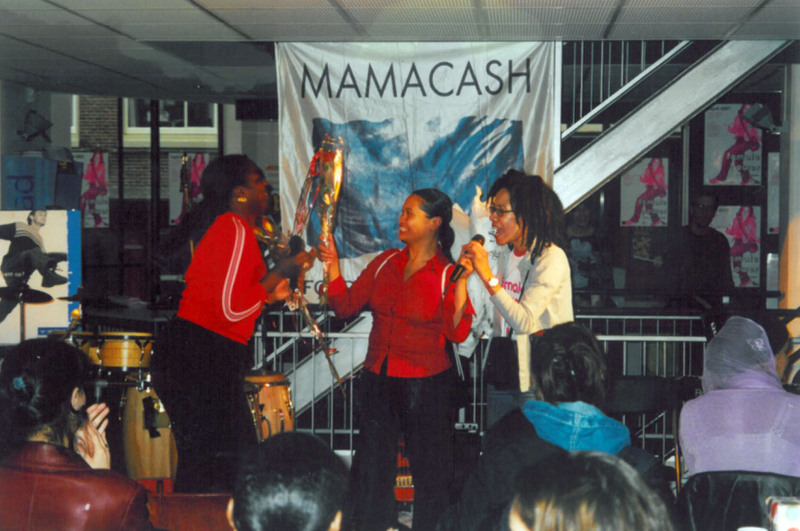 Since then Mama Cash has used the term ‘black’ rather than ‘women of colour’, in keeping with the language used over the years by women involved in the diverse Mama Cash community in the Netherlands. Founder Lida van den Broek came from a working-class background and often felt the distance between her class and that of the other Mama Cash women. Johanna, a major donor who lived in the countryside and a member of the network of Women with Inherited Wealth observes: ‘Mama Cash was so Amsterdam, I often felt provincial’. In the 1980s, the women’s movement had just started to realise that the ‘black and white’ distinction had also created an inbalance of power within its own ranks. 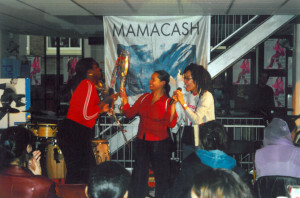 When Lida van den Broek was asked to co-found Mama Cash, her one condition was that black women had to be a part of the organisation. Van den Broek: ‘I explicitly wanted to work with, and for black women. I wanted all women in the women’s movement to be represented in Mama Cash’. Tania Leon, a black woman from South Africa, was asked to join the Board, thus completing Mama Cash’s team of five. Van den Broek and Leon initiated the ‘black and white’ debate within Mama Cash. ‘Breaking the socially accepted, white, western norm’, as formulated in the mission statement of Mama Cash, turned out not to be enough. Black women accused Mama Cash of thinking and acting ‘white’. They did not feel included in a women’s movement that was dominated and determined by white women. 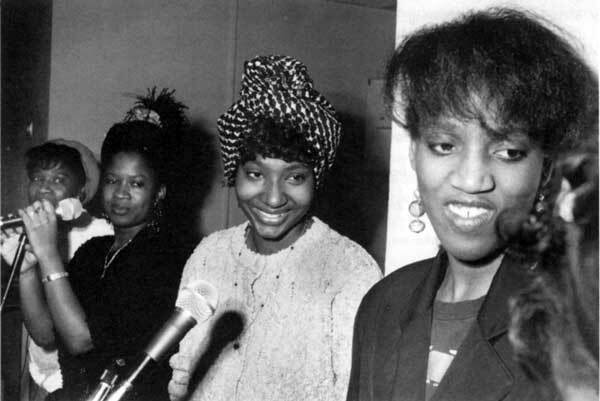 Tania Leon left Mama Cash in 1984 because she did not want to remain as the only black woman on the Board, feeling duty bound to keep the black and white debate alive. Leon’s decision to leave shook up her white fellow Board members. ‘Our differences of opinion kept revolving around the black and white issue’, says Lida van den Broek. ‘One of the problems we addressed was how to become aware of racism, and realise when women were being excluded. For instance, during job interviews, Mama Cash had to be aware of her racial biases’. Tjheng Hwa Tjoa, succeeding Tania Leon as Board member, remembers: ‘Even though we sometimes disagreed, there was a lot of room for debate within Mama Cash. The organisation was involved with multi-culturalism very early on’. Hwa left the Board in 1987 in protest because an article about Mama Cash was to be published in the Telegraaf, a right-wing newspaper. Hwa thought it would undermine Mama Cash’s ties with the left-wing movement, a view not shared by the other Board members. Marjan Sax: ’With so much in-house diversity, we had to find an organisational culture and define feminist policies with which everybody could identify. At some point, we had an African employee who was against abortion and lesbianism. Some women wanted to be seen as a womanist instead of a feminist. For them, the word feminist had a negative connotation, as in their view, it was a term from the West’. These were delicate matters. Entrenched positions, both among black and white volunteers and staff, tended to get in the way of coping with the differences. Many white women felt a sense of guilt because of the colonial history of the Netherlands and were ashamed of the air of superiority of the Dutch. Some black women referred to their historical role as victims, or struggled with a low sense of self-esteem. These conflicts forced the women of Mama Cash to make choices as well as concessions. Marjan Sax: ‘If we wanted to hire a specific person, we sometimes had to prioritise her colour over her opinions. One time we even published a brochure in which we used the word womanist instead of feminist’. During those first years, Mama Cash deliberately promoted herself with migrants’ organisations in the Netherlands. From 1984 onward, she had already started to fund many initiatives led by and for black women. The money funded radio and television programmes, March 8th gatherings, health centres, helplines, festivals, courses and trainings. From 1995 onward, the Guarantee Fund gave priority to requests from black women. In 1997, Novib provided additional financial resources to recruit Turkish, Moroccan and other new entrepreneurs from sub-Saharan Africa. Mama Cash also had to deal with cultural differences within her worldwide network of advisors. Some matters, however, were not negotiable. Will Janssen, Manager of the Fund for the Global South during the 90s: ‘We did not want any cultural relativism. That was a slippery slope to us. For instance, we did not want to leave any room for doubt about our position on female genital mutilation: we were against it. A country such as Kenya criminalized homosexual relationships. We did not make any concessions there either. If we found out that Mama Cash had been supporting an organisation that refused to include lesbian women, that organisation would have a hard time receiving any more grants in the future’. She adds: ‘Of course it was not only about cultural differences, but also about power relations’.